We bet this question will pop up in your mind if you consider choosing WordPress as the CMS for your future website or blog. The answer may not be that simple because there are two versions of WordPress: WordPress.com and WordPress.org. In this tutorial, we’ll give you the rundown on both WordPress versions and break down the costs needed to run a WordPress blog. Freedom to fix errors, make improvements, generate tricks, and distribute all of these to the communities so that all of users can experience the same benefits. While developing WordPress, Matt Mullenweg, WordPress co-founder, established Automattic. This company was founded with the mission to help non-technical people to create WordPress blog easily. 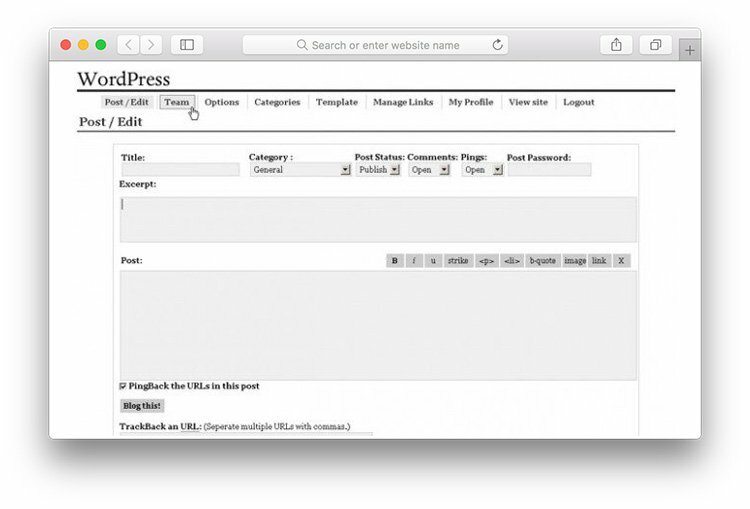 Since that time, people are given two versions of WordPress: WordPress.com and WordPress.org. WordPress.com is owned by Automattic. It uses a modified version of WordPress and provides a basic blogging service for its users. 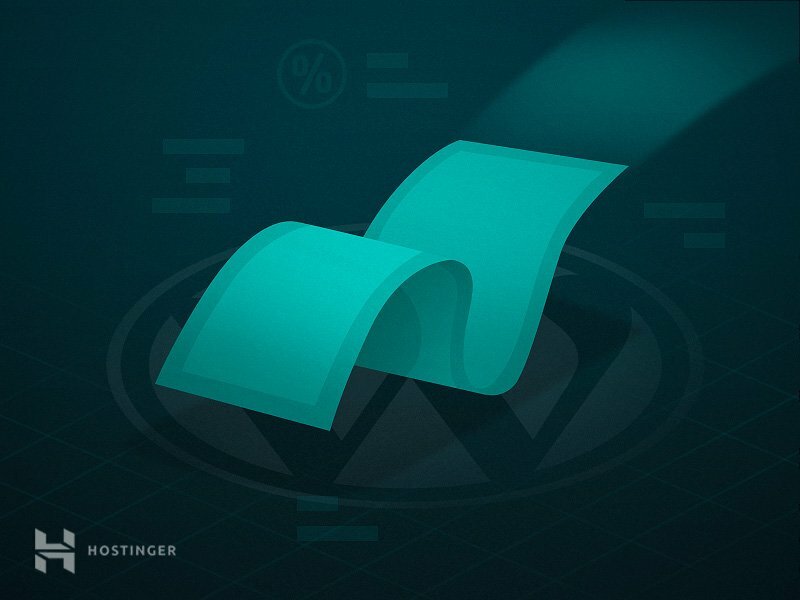 Automattic understands that to create a fully functional website or blog, WordPress itself is not enough. There are other technical requirements such as hosting, domain name, technical support. These sometimes can be overwhelming for people who just want to create a simple blog. Therefore, the company bundles open source WordPress with all required additional services so that new users can start blogging right away without the need to set up hosting, a domain name or have technical knowledge. It takes only takes a couple of minutes to set up a blog on WordPress.com. All you have to do is, sign up, fill in a few details about your blog and you are all set. The first WordPress.com plan is totally free but has quite a few limitation and drawbacks. For example, you will not be able to use premium domain names. It’s also worth to mention that Automattic will display their own ads on your website. It also gives you 3GB storage space only and allows basic customisation and free themes, and no additional plugins. If you want to get more features, you need to upgrade to a higher tier paid plan. WordPress.com offers 3 paid plans depending on your website needs and the services you’d like to choose such as custom domain, premium themes, technical support. Hosting – WordPress.com will take care of your hosting. Domain – You will get a free WordPress subdomain (example.wordpress.com) with the free plan. If you want a different domain and not a subdomain, you will need to upgrade to one of the paid plans. No Code Access – You will not have access to your website code. It means that you won’t be able to modify your website. This can be a huge drawback if you need custom features. Limited Themes – The free plan provides you with a bunch of free themes. You can try premium themes only with the paid plans. However, even with paid plans, premium themes can be applied from the WordPress.com directory only. Premium themes from third parties are not allowed. Limited Plugins – Similar to themes, you will need to upgrade to Business plan to add plugins to your website. Even on the most expensive plan you will not be able to install plugins from third parties. Limited Control of Your Site – You don’t have full control over your data and content. The authorities will take down your website if there is any data or content that violates WordPress.com policy. Monetization – You will need to choose a paid plan if you want to monetize your website with ads. Is WordPress.com free? Concerning money, with WordPress.com’s initial plan you can start blogging at zero cost. Yet, the free WordPress.com plan may not be enough even for basic blogger’s needs. Therefore, sooner or later, you will have to invest your money and upgrade to paid plan. WordPress.org is often referred to as the “real” WordPress since it is the open source software which is developed by the WordPress community. Everyone can download, use, and customize it for free. You may wonder why developers are willing to spend their time developing WordPress.org without earning any money? First of all, many people contribute to open source software because it’s their hobby which also helps to improve their coding skills. Secondly, the community of developers may not make money by developing WordPress directly, yet they make money by developing things for WordPress. Many of those developers sell WordPress plugins and themes or run businesses that are somehow related to WordPress (for example WordPress hosting). If WordPress is getting better, of course, the demand for this software increases. The more people use WordPress, the more profit that they can get by selling their products and services. Although you can get this version of WordPress for free, you still need to pay its technical environments such as domain and hosting. Of course, you can get a domain and hosting from free hosting sites like 000webhost.com, but if you need more advanced features and more resources you will have to get paid WordPress hosting. Hosting – Although you need to pay your hosting service, having a self-hosted WordPress will give you a total control. Domain – You have control over your domain name. You can choose your own domain name. Code Access – You can access your code and make modifications to all of your files. Themes – Feel free to install any themes you want. Plugins – Similar to themes, you can add any plugins. You are also allowed to install premium plugins from third parties. Data ownership – You have full control over your data and website’s content. So is WordPress.org free? Yes, the software itself is completely free and released under GPL. By using WordPress.org you will have a total control over your website. You will be able to develop and modify your website into anything you want. However, if you want to run WordPress on a premium hosting and have a domain name you will have to spend some money. Depending on your needs there can be even more additional costs. We will cover them all in the section below. What are the costs of running a blog? Now you know the difference between the two types of WordPress. You also know how much you will have to pay for WordPress.com because can you can choose from 3 paid plans only. However, when it comes to WordPress.org it can be a little bit hazy. In that case, we would like to break down all of the expenses of running a blog. In simple terms, the domain is the address that helps customers to find and access your website. Although it is a mandatory cost, it doesn’t need to be that pricey. Many domains are available at a reasonable price. 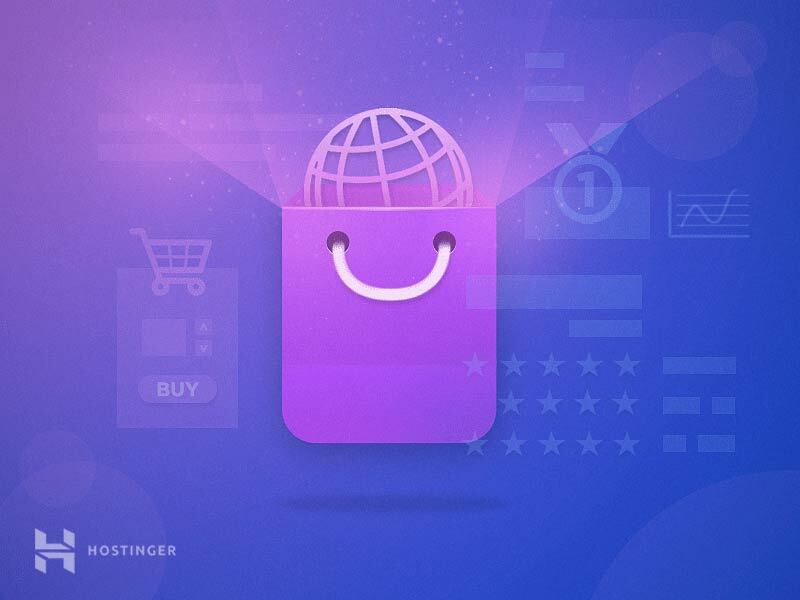 Moreover, a hosting services like Hostinger bundles their hosting services with a free domain. When you pay for hosting, it means that you rent some space in the servers to store your website files. Your website’s speed and security depend on your hosting. Therefore, you are better be careful while choosing your hosting services. Additional costs mean that it’s optional. Whether you want to spend your money on premium themes and plugins or not is up to you. If you believe that your website’s design is vital in representing your brand or you need custom features, you may need to take a look into paid WordPress themes. But, if you want to cut your budget effectively, WordPress provides a lot of free themes to choose from. Since themes are very different and can serve different purposes, just make sure the theme you buy will suit your website or blog objectives. Plugins are an essential part of every WordPress site. By using plugins you can add extra functionality to your site without a hassle. You can find more than 45 thousands free plugins inside the WordPress plugins directory. If it is not enough, you can buy the premium ones from the third parties and install them on your blog. Answering the question “is WordPress free?” can be tricky. There are two versions of WordPress: WordPress.com which is owned by Automattic, and free WordPress.org software. Both WordPress versions can be used without paying a dime. However, if you need more advanced features, custom domain name want to have the freedom to use all WordPress themes and plugins you will have to either choose paid WordPress.com plan or setup WordPress.org on paid hosting.